Sarah Longacre delivers research solutions for Schlesinger Quantitative clients. She originally joined Schlesinger Group in fall of 2006 as a Qualitative Assistant in San Francisco. It was at this early point in her career that Sarah recognized the importance of client service excellence and the impact the smallest detail can have on project success. Sarah was promoted to Qualitative Supervisor with a special focus on Client Services. In 2010, Sarah began her journey into Project Management and was promoted again to Senior Project Manager in 2012. 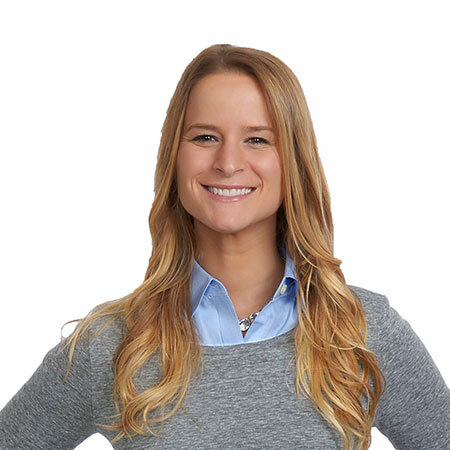 Sarah became well versed in consumer, B2B and Financial projects, with a specialized focus on healthcare. In January, 2014, she took a role as Account Manager with M3 Global Research and was made Vice President of Qualitative & Quantitative Business Development, supporting healthcare projects on a global scale. In 2016, missing the ‘family’ culture at Schlesinger, she rejoined Schlesinger Group as Vice President Client Solutions. Sarah is a member of Intellus Worldwide, WIRe and Insights Association and is an active volunteer on the Intellus Young Professionals Committee. Sarah enjoys spending time with her family, various types of exercise and performing in local sketch comedy.